What Can You Expect from Interest Rates in 2015? | Orange County, CA Real Estate Video Blog with Frank Del Rio Orange County, CA Real Estate Video Blog with Frank Del Rio: What Can You Expect from Interest Rates in 2015? Welcome back, everyone! 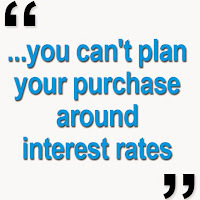 Today's topic is interest rates, which have become a very hot topic in our area. People want to know if and when they are rising, and what they can expect by the end of 2015. A lot of people in real estate are expecting rates to rise, so let's take a look at the numbers and determine if that's the case. We finished 2014 with an average interest rate of 3.75% for 30-year fixed mortgages, which is very close to the historic low. Right now, rates are in the low 4%'s, but both the Mortgage Broker's Association and the National Association of Realtors are projecting rates to rise above 5% by the end of the year. If interest rates do jump to over 5%, it really will be a modest hike compared to the historical averages for interest rates. Back in the early 2000's, rates were in the 6-7% range. In the 90's, rates were in the 8-9% range. And all the way back in the 1980's? Rates were in the 13-17% range! By all accounts, 5% rates are still historically low. You may be pleasantly surprised about what you can afford right now compared to what you could have afforded in the past. If you can afford it, it makes sense to buy a home right now. Rates are still low, but you can't plan your purchase around interest rates. You've got to do it when it's right for your family. We will help you find your dream home just like we've done for home buyers over the last 15 years. If you know somebody who is looking to buy, sell, or invest in the real estate world, give me a call or send me an email. Also, please share this video on Facebook! We look forward to speaking with you soon!